Recovery is possible! F.E.E.D. is the essential next step! F.E.E.D. provides meal time direction, symptom management and behavioral strategy skills. 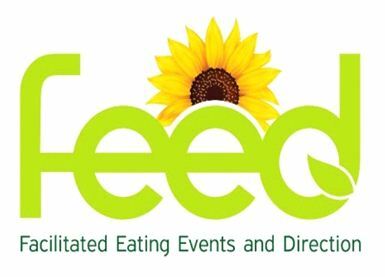 Here at F.E.E.D, we pride ourselves on our COLLABORATING with referring treatment facilities, therapists, nutritionists, and physicians. Our F.E.E.D. CONNECT concentrates on the strengths within each unique individual. F.E.E.D. focuses on improving physical and emotional health now and for the future. CONNECT group consists of a supportive session, an eating event and post-meal process exercise designed to maintain compliance, connection and community. Rolling admissions. 10 week commitment. Offered twice per week. Mondays 7:00 pm - 9:00 pm. Thursdays 6:00 pm - 8:00 pm. Jericho office. F.E.E.D. CONCIEGE PROGRAM: Offers individualized meal coaching tailored to meet the patient's specific needs. ex; out to eat, shopping , prepare meals at home. Tailored/Concierge Outpatient Services Just for YOU! Enhance and Reinforce your Recovery! Process physical and emotional feelings through pre-meal and post meal groups with the support of a nutritionist and/or therapist.